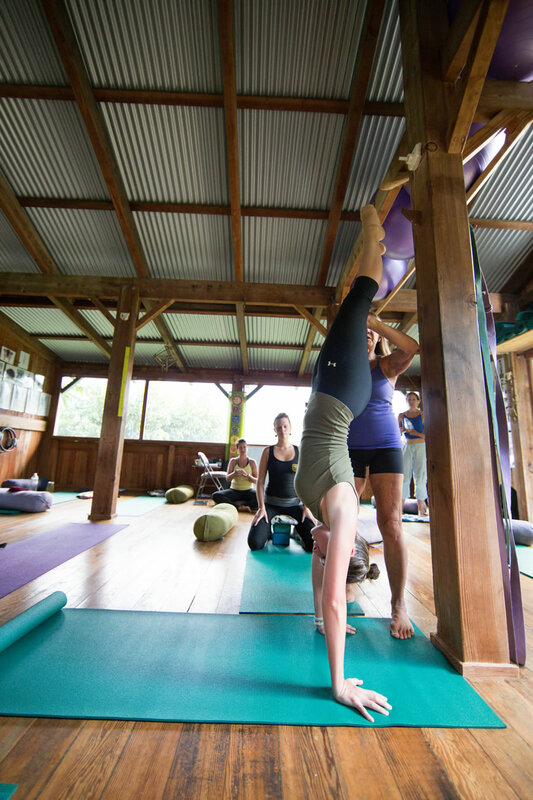 Mana Yoga Studio is owned by Yogalign® founder Michaelle Edwards. 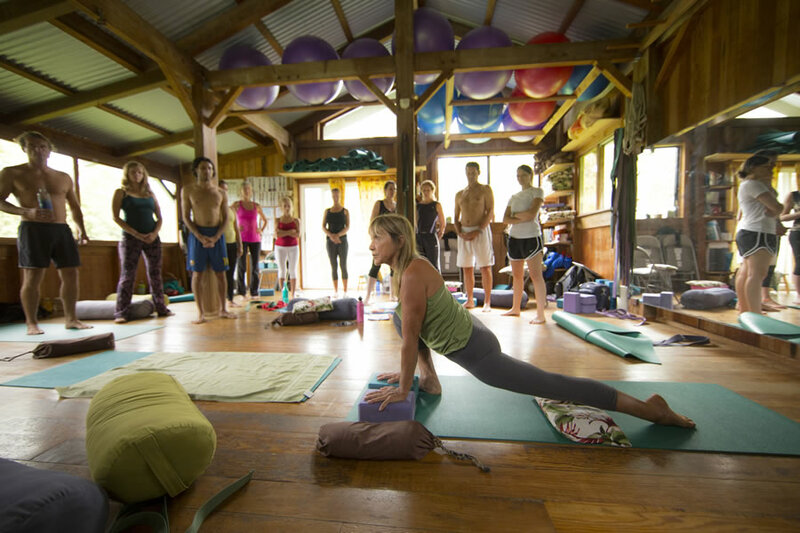 It is located on her five-acre property in Princeville, Kauai where she lives, teaches yoga, and manages an organic orchard and vegetable garden. 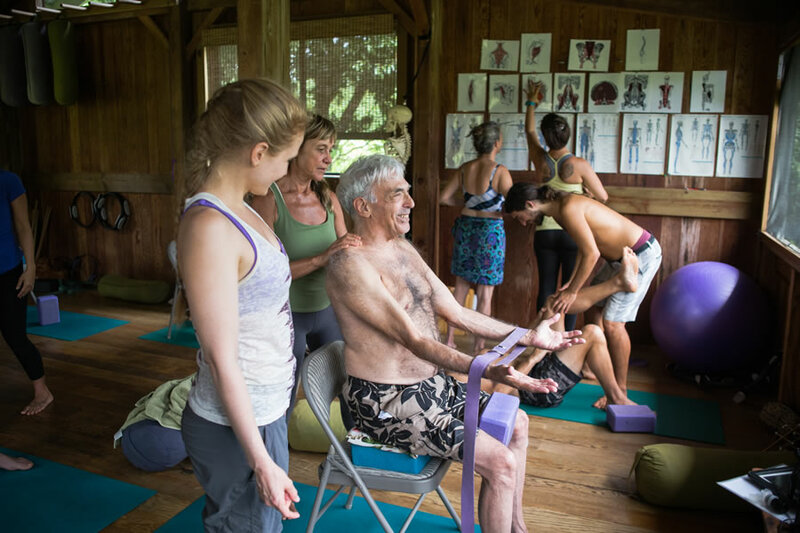 The cedar building is constructed with high ceilings and natural wood walls and floors that create a Zen-like atmosphere. 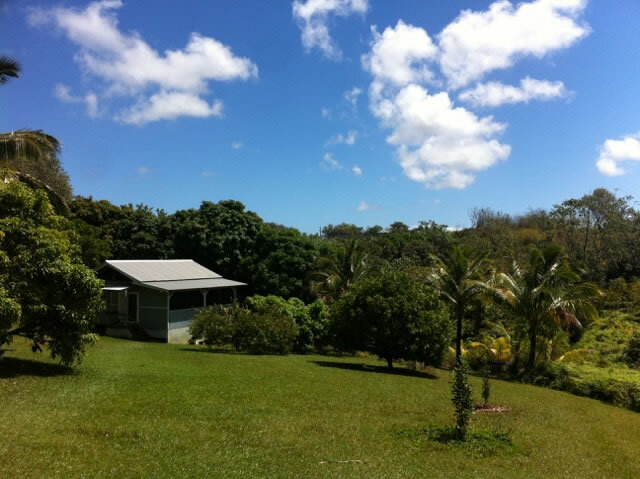 Large screen windows frame a spectacular view of the Hanalei ridgeline. 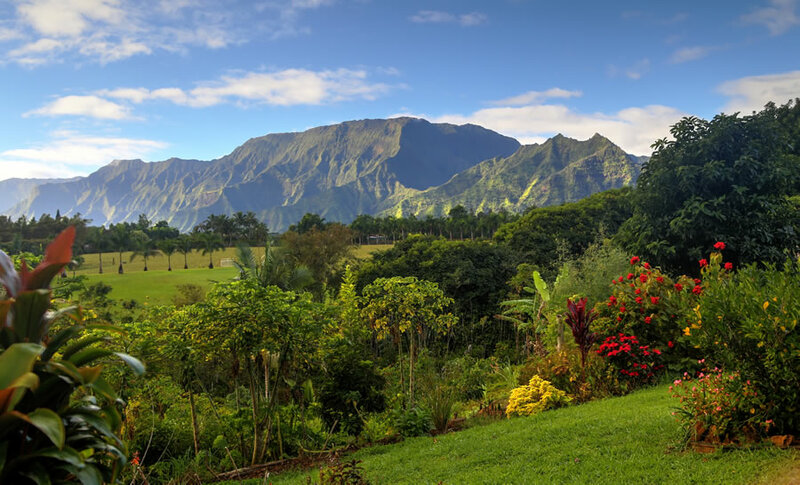 The highest peak, Namolokama, is frequently adorned with breathtaking waterfalls called Wai’oli, or Singing Waters. 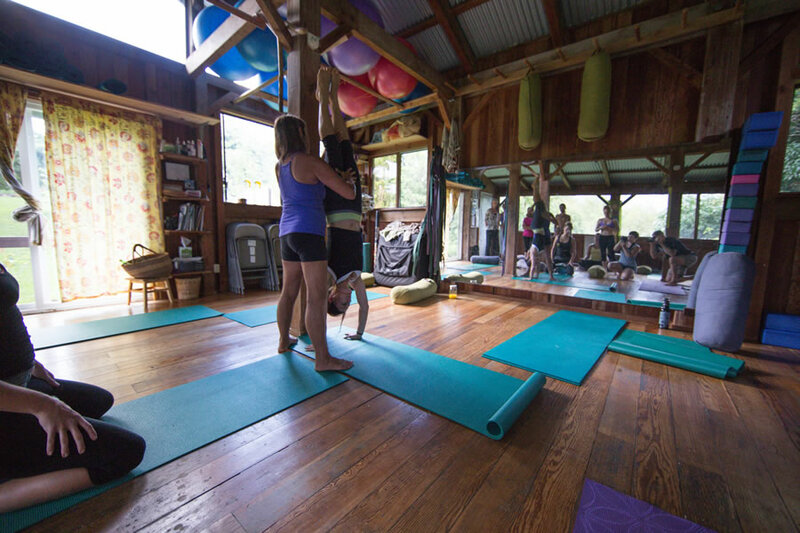 Mana Yoga Studio was built in 1998, out of recycled lumber reclaimed from a home that was so severely damaged by the hurricane, that the insurance company considered it a total loss. 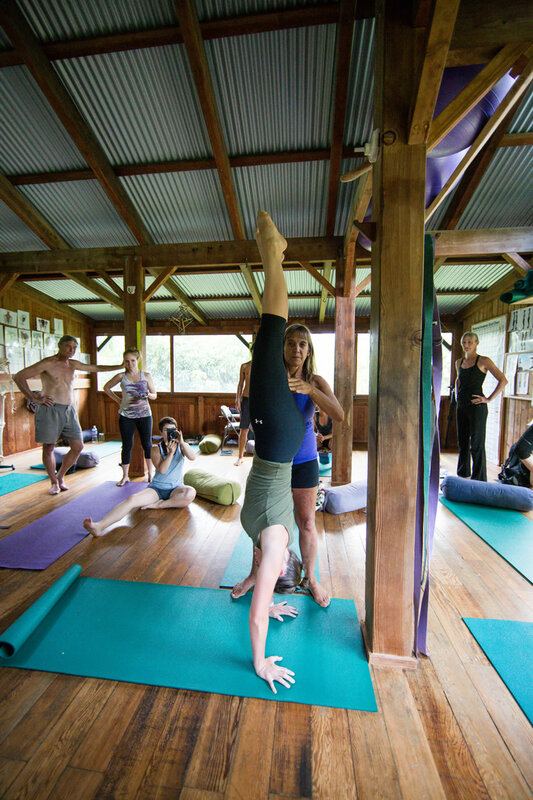 The owners decided to build a new home, and the lumber from their previous home was used in the building of Mana Yoga Studio. 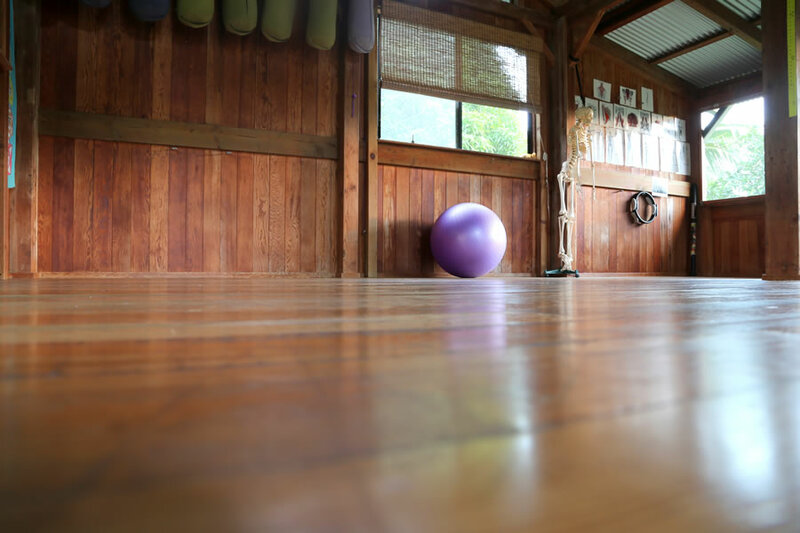 Mark Gilbert, Michaelle’s former partner, sanded and restored the timber, and used post and beam construction, to create the beautiful wood and open-air design of the building. 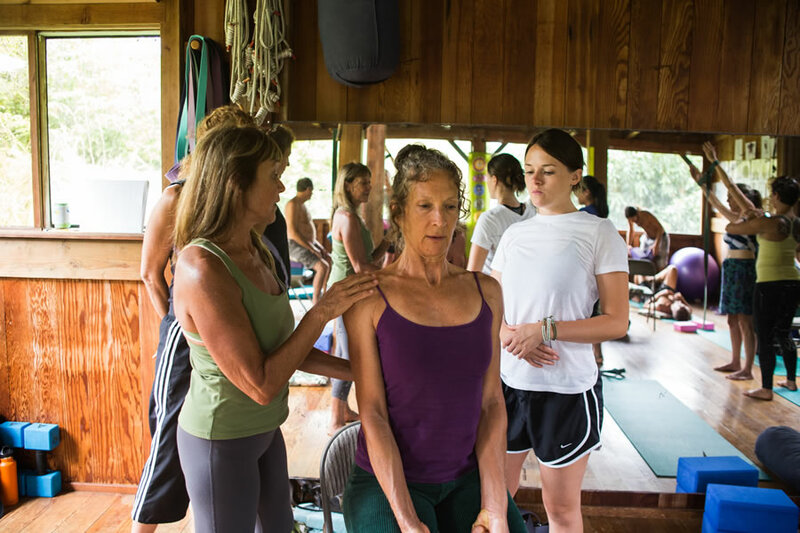 Students of the Mana Yoga Center are encouraged to be grateful for every breath of the sweet island air. In lieu of recorded music, we appreciate the sounds of the shama thrush singing and coconut fronds dancing in the trade winds outside. Any passing rain is welcomed as the waterfalls and rainbows will follow.